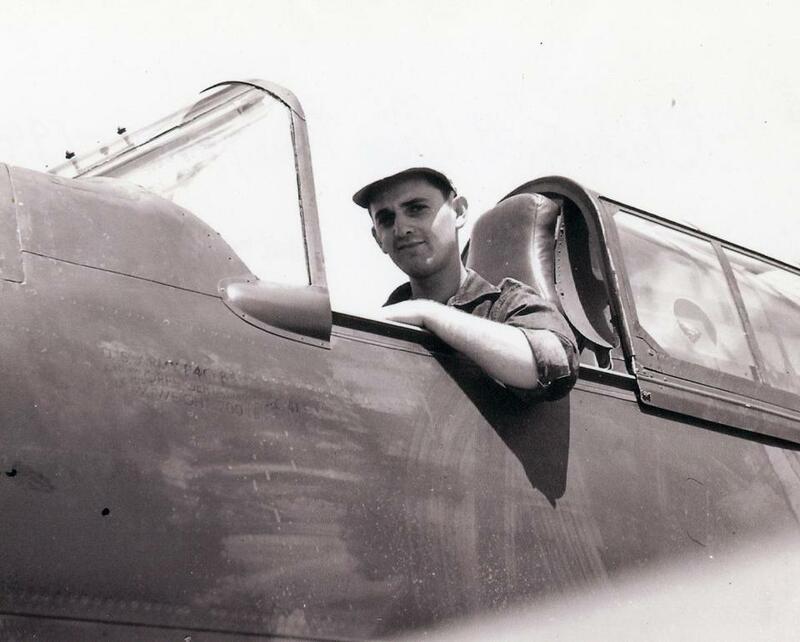 Mr. Pothier’s World War II experience is part of the the Fort Devens Museum. “I have seen men die overnight when they could not stand the suffering any longer and gave up,” Bernie Pothier wrote in 1946. Not when he was among the outgunned US troops and Philippine forces who fought for months until they were overrun by the Japanese Army in April 1942. Not when he was among the tens of thousands of captured soldiers and civilians who subsequently endured hellish conditions during the infamous Bataan Death March, as thousands among their ranks died along the 65-mile trek. Not during 3½ years as a prisoner of war, when he was forced to labor in coal mines. Mr. Pothier was 99 when he died May 2 in Reading, a couple of weeks shy of his 100th birthday. He was the last Massachusetts survivor of the Bataan Death March, according to a database that tracks those who endured one of World War II’s cruelest episodes. Some of the recognition for his valor arrived late in his life. He was 98 when he was awarded a Bronze Star in 2016 during Veterans Day ceremonies in Reading, where he had lived in recent years. And just last fall he was officially promoted from corporal to sergeant, an advancement for which he was eligible decades ago, but had never sought. By order of the secretary of the Army, the promotion was backdated to May 1946, according to the proclamation read at the ceremony. During the same ceremony, he also was awarded the Prisoner of War Medal. Like many other veterans who survived inhumane treatment, Mr. Pothier didn’t speak much publicly about his experiences through most of his life. Only in the past few years did he reach out to share his story, including with his nephew Mark Pothier, an editor at the Globe. He told his nephew that he overcame his reluctance, in part, to make sure the Bataan Death March would never be forgotten. “It’s not even in schoolbooks,” he said in 2012. Mr. Pothier joined the Army in 1940 and was a radio operator assigned to the Headquarters Squadron of the 24th Pursuit Group. He was stationed at Clark Field, northwest of Manila, when Japanese forces bombed Pearl Harbor. Clark Field was attacked the next day. US troops were forced on the Bataan Peninsula, and surrendered in April. “He was kind of like a walking history book,” said Marge Falla, Mr. Pothier’s daughter. “I was captured on April 9th,” Mr. Pothier said in an interview with Kevin Bohmiller, who is Reading’s veterans’ services officer, and David Maroney, who published an account of the conversation about a year ago in the suburban Daily Times Chronicle. The events from the day of his capture until when he was released were harrowing. During the death march, he and other prisoners “passed many artesian wells. If anyone tried to get water, they were shot, stabbed, or had their heads chopped off,” Mr. Pothier said. “At one point, they made the prisoners dig a hole in the middle of the road. If they refused, they were shot,” he added. Buried in that makeshift mass grave were prisoners who had died — and at least one who had collapsed and was near death, but still breathing, he told his nephew. One of five children, Bernard M. Pothier was born in Wedgeport, Nova Scotia. He was a child when his family emigrated and settled in Medford. His father was Alcide Pothier; his mother was the former Loretta LeBlanc. After high school, he worked for steamship and cruise lines before joining the Army. Returning home after the war, he worked in sales and marketing with his family’s printing business. On Nov. 9, 1949, he married Marjorie E. Lang, and they had five children. Services will be private for Mr. Pothier, who in addition to his wife, Marjorie, and their daughter Marge leaves their three other daughters, Judith Jeddrey of Reading, Bernadette of Eastham, and Janet Porter of Chelmsford; a son, Brian of Orleans; 10 grandchildren; and five great-grandchildren. 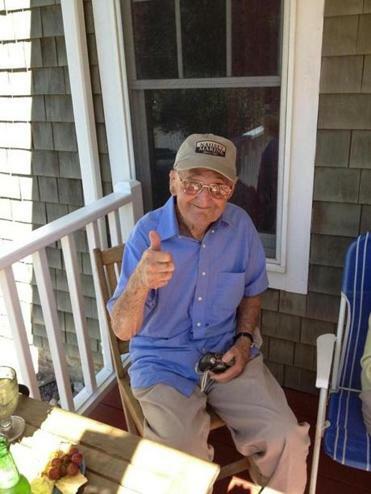 His ashes will be buried in the Massachusetts National Cemetery in Bourne and spread in a couple of places that were memorable to him on Cape Cod. He lived in Harwich for much of his retirement. 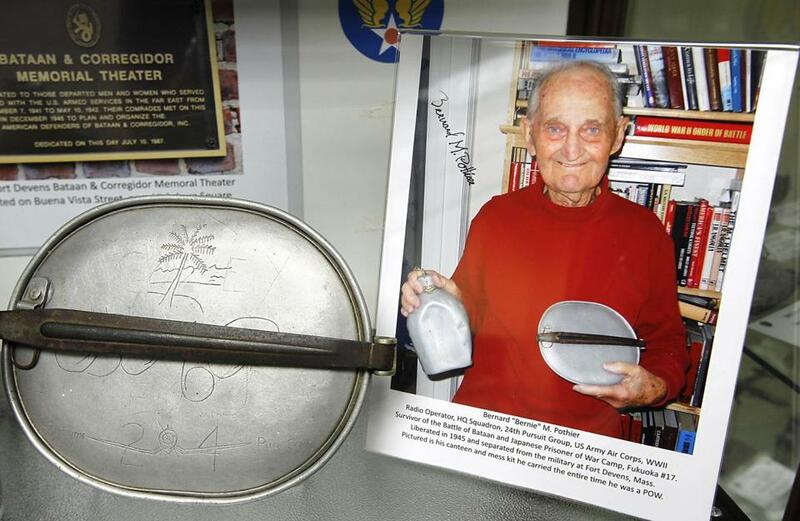 Mr. Pothier was stationed at Clark Field in the Philippines when Japan struck Pearl Harbor.